Blog | How Do I Troubleshoot My Garage Door Remote and Opener? How Do I Troubleshoot My Garage Door Remote and Opener? People down at garage door repair Redington Shores advise that you perform some basic troubleshooting instead of panicking when you discover that your garage door opener has stopped working. Check to make sure that nothing blocks the signal between the opener and the remote. Remove any branches of trees hanging about in the immediate vicinity of your garage. Also check the battery of the remote. Be sure it has enough power. If the remote is not working, you can have it replaced, or you can opt for a universal remote which can work for all models whether it is Liftmaster door opener or one from Sears. If the remote is working fine and there is no obstruction of the signal yet the garage door still cannot be opened, check if it is plugged to a power supply. Make sure that the electrical outlet is working. Otherwise the opener will not work. Also make sure to check if the “Lock” feature has not been accidentally activated. Most openers have this feature, but a lot of owners are not aware of it. Another way to go about it is to reset the opener. Unplug the opener and plug it in again to reset the entire system. 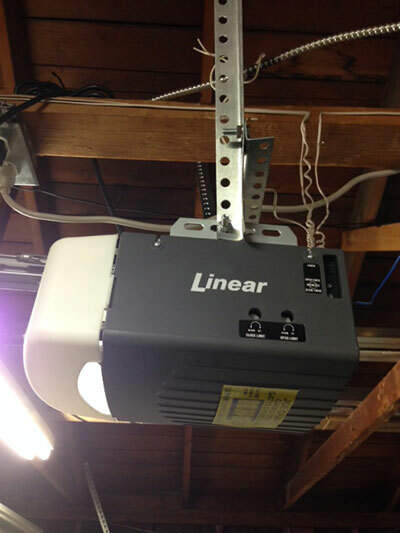 If all fails, then it is about time you call for garage door opener repair. You may contact us for a quote.